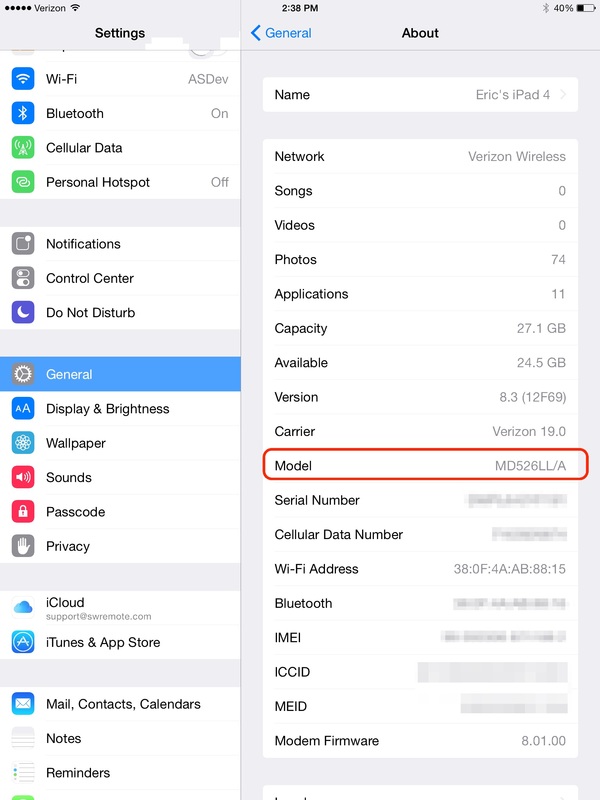 How do I find my iPads Model Number? Model will be listed about halfway down the page. The SWRemote support team may ask which iPad Model you are using when troubleshooting an issue. If you don't have a case on your iPad, you can find the Model listed on the back of the iPad.